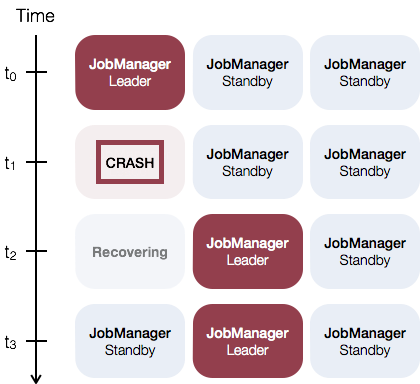 See more HA implementation details in JobManager High Availability in the Flink wiki. high-availability mode (required): The high-availability mode has to be set in conf/flink-conf.yaml to zookeeper in order to enable high availability mode. Alternatively this option can be set to FQN of factory class Flink should use to create HighAvailabilityServices instance. Starting standalonesession daemon on host localhost. Starting taskexecutor daemon on host localhost. Stopping taskexecutor daemon (pid: 7647) on localhost. Stopping standalonesession daemon (pid: 7495) on host localhost. Stopping standalonesession daemon (pid: 7349) on host localhost.